Greene County’s Department of Economic Development, Tourism and Planning is now accepting reservations for the Fall 2016 Microenterprise Assistance Program (MAP) training classes. The two-day session is free, but advanced registration is required. The session covers the basics of business start-up planning, accounting and marketing. It will be held on Thursday, September 22 and Friday, September 23 from 9:00 a.m. to 4:45 p.m. at the S.C. DeLucia Training Center at the Greene IDA, 270 Mansion Street in Coxsackie. “Greene County has well over 2,000 operating businesses, and the vast majority of them are small enterprises,” said Warren Hart, Director of the Greene County Department of Economic Development, Tourism and Planning. Hart added that the number of firms operating in the County continues to grow, and that over 1,000 business locations are registered with the County’s Buy in Greene business directory at www.buyingreene.com. Greene County has had one of the highest rates of in-county job growth in New York State for the past three years, and there remain continued opportunities for growth and development. Greene County received funding through the State’s Community Development Block Grant (CDBG) microenterprise program three of the last four times it has been offered. The County will be applying for additional funding in the 2016 State competition. The State funding can provide four $25,000 deferred-payment loans and four $15,000 deferred-payment loan/$10,000 loan combination will be provided to qualified startup businesses (in existence for six months or less) or existing microenterprises that create at least one full-time equivalent job for a non-owner as part of their development and expansion. A minimum of 10% owner equity contribution is required for all projects, along with participation in a Microenterprise training course. Greene County is targeting Main Street businesses locating in established corridors, along with targeted sectors of the economy such as hospitality and craft beverage production. Businesses in those target areas will receive first consideration for funding. Microenterprises are defined by the Federal government as businesses with five or fewer employees, one of which is the owner. Employees must be counted as “heads” for the purposes of eligibility, and not full-time equivalents. Owners of existing microenterprises in Greene County, as well as Greene County residents with potential startup businesses, are eligible to participate. Class topics covered include marketing, accounting, cash flow analysis, business plan development and implementation, and business regulations and their impact. Instructors are local and regional experts. The training builds the knowledge necessary for participants to implement a business plan, and expand their markets and profits quickly once in operation. Participants should bring their business plans if they have been working on them. Greene County also has economic development loan funds available for job-creating projects through its Quantum Fund. A summary of its terms and conditions, along with application forms, may be found on the new Invest in Greene website at www.investingreene.com. 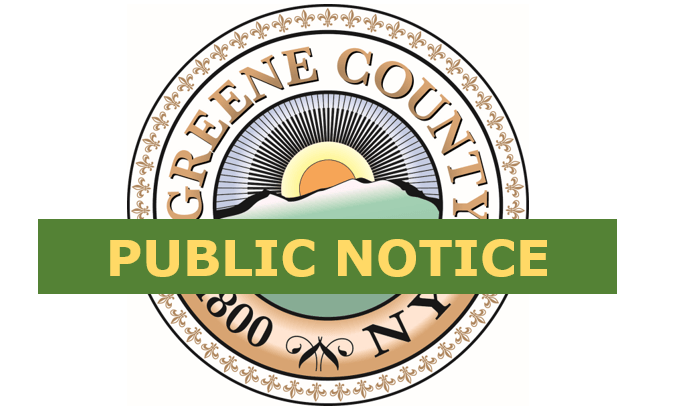 The County has refreshed its Buy in Greene local purchasing campaign and created a new Invest in Greene website in 2015 in order to support local business development and investment. Buy in Greene currently has over 5,100 likes on Facebook, a number that continues to climb rapidly. There is no charge for the MAP class, but advanced reservations are required. Reservations may be made by contacting the Greene County Department of Economic Development, Tourism and Planning, and should be requested no later than 4:30 p.m. on Friday, September 16, 2016. The Greene County MAP has operated since 1998 in order to encourage small business owners and entrepreneurs to either start or expand businesses. To learn more about the MAP, visit www.investingreene.com or call Greene County Department of Economic Development, Tourism and Planning at (518) 719-3290.